There are many fascinating overlaps between the early histories of motion pictures and powered flight. Aside from the fact that both histories feature a pair of brothers given pride of place in the history of their respective inventions (the Lumières and the Wrights), the chronophotographer Etienne-Jules Marey studied bird flight and collaborated with flight pioneers Victor Tatin and Alphonse Penaud; Antoine Lumière, father of Auguste and Lumiere, was taught photography by balloonist and aviation visionary Nadar; the German aeronaut Otto Lilienthal was inspired by the photographs of storks taken by the chronophotographer Ottomar Anschütz and had his glider experiments photographed by Anschütz; and Octave Chanute, who played a major part in encouraging Orville and Wilbur Wirght's aviation experiments, was a keen follower of Marey. 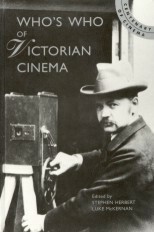 Motion pictures on film were achieved ahead of powered flight, and a few of the efforts towards the latter were captured by the early cinematographers. The very first, so far as is known, was taken of the British aviator Percy Pilcher. 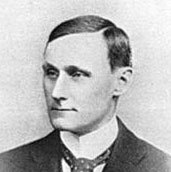 Pilcher was an engineer and a lecturer at the Department of Naval Architecture at the University of Glasgow who became interested in aviation and built his first glider ('The Bat') in 1895. Inspired by the work of Lilienthal, he developed other gliders, and with 'The Hawk' in 1897 achieved a record distance of 820 feet. It was at this time that Pilcher was filmed, probably by the aviation enthusiast and photographer William J.S. Lockyer, who wrote for Nature about the first publicly-witnessed flight of 'The Hawk', at Eynsford on 20 June 1897. The article was illustrated with seven frames taken from a cinematograph film. While the film is lost, the frames reproduced in Nature show us the glider at the point of taking off on a hillside, with a towline being pulled and the aviator leaving the ground. Pilcher's cousin Dorothy flew using 'The Hawk' that day as well, and according to anecdote she crashed into the cinematographer when landing. Percy Pilcher was killed just two years later, aged thirty-two, when he crashed flying the same glider. He had dreamed of adding an engine to his glider, but it was the Wright brothers in America who were to make the successful transition from gliding to engine-driven flight, in 1903, though it would not be until 1908 that any film would be made of the Wright Flyer. Other aviators were filmed in the Victorian era: the Lumières filmed an unnamed balloonist taking off in 1898 with a view of the ground below filmed from the balloon, and on 19 September 1900 filmed the Brazilian balloonist Alberto Santos-Dumont standing beside his dirigible. The following year the British Mutoscope and Biograph Company filmed Santos-Dumont airship flying around the Eiffel Tower. In 1906 Santos-Dumont would become the first person to be filmed in an aeroplane in flight. But it is Percy Pilcher, who died (as did his hero Lilienthal) pursuing the dream of flight, who first took to the air before the irreproachable witness that was the motion picture camera.